A word of caution though: government must let Zambia airways be as autonomous as possible. Since Zambia has already committed to opening a national airline, negative talk towards the venture is hopeless. Let us instead discuss ways of making the airline profitable and sustainable. Once more, job well-done for choosing Ethiopian airlines as partners in the venture: critics can visit Ethiopian airlines websites and see the excellent performance of the company. They have been profitable for more than three (3) decades consistently almost. Ethiopian also has the most realistic personnel remuneration in the aviation industry: they even partner with Boeing to manufacture and supply electrical wire looms (cables) manufactured right in Ethiopia. In short, Zambia will have a lot to learn from Ethiopian counterparts. My appeal is to ministry of transport is this: formulate a statutory instrument (SI), making all corporate and group GRZ travel by air mandatory. Currently, too many business and GRZ travel is by road, making our aviation industry fragile and non-competitive. Almost all companies and GRZ ministries hold annual general meetings and other workshop in various parts of the country. Unfortunately, they all use government and private vehicles, which require large sums of money on fuel and food, and waste even more time on the road. These endless road trips actually make the driver tired upon arrival to the destination, and further congest our roads. Local air travel can solve this problem. Another reason the aviation industry in Zambia has stagnated is because of the myth that air travel is very expensive and reserved for the elite. The truth is actually the opposite; most people travelling between Lusaka and Johannesburg by bus actually spend more money and more time on the road. The role of our Zambia airports corporation therefore is to expand their facilities into common places like Inter-city bus Terminus, Shopping malls, Markets and hotels for more efficient Marketing, air ticket sales and airport shuttles services. This practise of taking air travel to local communities is worldwide: potential travellers can actually check-in at a shopping mall and board a bus straight into the plane. This cuts outs the cumbersome airport logistics which many local travellers find unpleasant. Besides, most local middle-income businessmen and women find our airport environment and pre-flight procedures intimidating. A word of caution: please avoid unnecessary rebates and free travel for politicians and airline personnel. Corporate clients should also pay promptly: many companies go down because of huge unpaid corporate client bills. Let us put our heads together and make the national air career a success story. Let’s roll for another crash…..
Tourism is not based on having airlines. National Airline does not drive tourism. What drives tourism are things like the falls, game parks and things associated with vacation, away from work to relax. Perhaps, the government can buy the airlines to take customers to Mfuwe, Luangwa national park, Kafue National Park and water falls. But how many Zambians will be on those big planes to go and see animals for 2 to 4 days? Mostly will be handful foreign tourist on those planes. That make the planes to be unprofitable. They’ve failed to run a railway company with 1 track (inherited from Cecil Rhodes) now they think an airline is possible. Just speed reading the article you can see that his disadvantages out weigh that advantages …and it doesn’t matter what flight Harry arrived on its not like if there was a Zambian Airline he would have automatically chose it; he must have connected from Joburg via British Airways. You dont need an Airline to market a country its lazy mindset…the past 10 years Tanzania has done well without an airline in marketing her country as a niche safari holiday for the rich ..they have even gone as far as advertising in English Premiership stadia. This guy’s reasons for an airline are weak …its like he didn’t do any research before posting his article ..just another one enjoying nostalgia after a visit to the airport. As long as there is no separation between professionalism and cadres in the PF gov, the airline will be a flop. This reminds me of sheepish comments a few days ago about Guy Scott accessibility of the deceased (Sata)’s health record. May I educate those noise makers that, according to the EU Generaral Data Protection Regulation (GDPR) and the UK Data Protection 2018 and the Freedom of Information Act (FOIA), there was no breach and that Dr Guy Scott have a legal right to access such information just like any one else. Right now, anybody can put in an FOIA request abou Lungu if he owns any company or property in the UK and this information can be provided. If Dr Guy Scott book has not been published in Zambia, it’s no skin of anyone’s nose (a quote from Jame Hardley Chase). This Ndalama guy is a propagandist and a half! He should be employed full time by the PF government. What a liar! “South African Airways especially got serious media coverage” Sure mwebantu? Who went about screaming South African airways has landed the prince in Zambia? See – When you see figures for Livingstone airport who will see that most flights come in from RSA on day visits and packages already paid for in SA….Zambians think having an airline is the silver bullet..we have debated this but some of these people are hell bent on procuring new aircraft and obtain kickbacks. I agree with the writer a national airline has many benefits to the country which can’t be measured. The government can remove duty on jet fuel to lower the plane ticket price, coupled by promotion of local tourism and local charges by lodges and hotels. We can see a situation where the upper and middle class migrate to flying. The government can make money through duty charges on tickets and airport taxes, also saving money on road repairs caused by huge traffic on roads; as the traffic will be reduced owing to many people migrated to air travel. Tanzania just introduced the national airline under the new president;Magufuli and it is working well.prudent management is the key. Stop talking and let’s re- introduce the airline and only then should we take interest in how it will be run and offer checks and balances. If it failed before,obviously lessons has been learned and corrective measures put in place. Dont be defeated because of past errors. Big Boss – Tanzania used money from a windfall the obtained from the mines they charged with tax evasion …its early days to state wither its successful moreover these national airlines like Air Rwanda for example never publish their profits/loss statements at the end of the year. Spot on…Zamtel is a good example!! Iwe there are so many foolish statements in this article and you can’t see them? A national airline in Zambia, if successfully operated, has the potential to transform many sectors of the country’s economy. POLITICS ASIDE. LETS DO IT , AND DO IT CORRECTLY. WE HAVE LEARNT FROM PAST MISTAKES. WE CANNOT GO ON DEBATING AND DEBATING. IT IS VERY CLEAR THAT THE BALANCE SHEET FOR THE AIRLINE MAY NOT SHOW SOME POSITIVE. BUT WE ARE LOOKING AT THE BIGGER PICTURE. BENEFITS TO THE TOURISM INDUSTRY, WHICH IS ONE OF THE MONEY SPINNERS IN ZAMBIA BUT HAS NOT POURED OUT ITS FULL POTENTIAL. Do you think Lazy Lungu can do anything correctly and above board…wishful thinking!! You are likely to lose trees for the forest. Things have actually gotten worse since ZA was liquidated. The levels of political and administrative indiscipline have geometrically risen. You need to enter the inner core of ZESCO to understand why a natural monopoly is failing to turn a befitting profit. Soon ZESCO will be offloaded for the same reasons that ZA was liquidated. Is this deja vous all over again? It is much more profitable to operate a world class international airport than to run an airline. Job creation is vast for ground staff personnel from caterers to cleaners,shop attendants,management to name but a few. Who even remembers which airline Arnold Scwarznegger took to Livinstone except that he stayed at the Royal Livingstone. It looks like the die is cast so let us make the best of the situation. GRZ employees are the one that will bring this airline on it knees by excessive debts coupled with borrowings from the banks and oiling the political party structures. @Donqueen. ‘much more profitable to operate a world class international airport than to run an airline’. This suggestion can only come from a progressive mind. I hope Brian Mushimba can listen to you! Exactly …these people do not do their research..very few people are creating new airlines today those that are doing are doing it after mergers!! Surely one wonders how pipo think. In Zambia, is there any government run company that is managed well. Look at zampost, NHA, ZEPH , zamtel etc. Now why open more govt companies. its a good idea to open the national airlines but can our quality of leadership really manage to run the company well, that should be the question to answer. It’s better Govt is not involved in this airline project and leave it to be managed by the private sector. A National Airline huh ?. I wonder if procurement of airliners will be riddled with corruption like the fire trucks ???. I wonder if Zambia Airways is going to use Ethiopian Airline model in it’s business. Yes, we need a National Airline, but Zambia is running too fast to get started running the National Airways (I wish the money could be used in developing hydro stations across Zambia since we have many potential sites. “Electricity” can eventually fund wholly or partially buying of Airlines). The customer’s nerve centre for Zambia is different to that of Ethiopia. What is it that Zambia Airways is going to solve that nothing on the airline market currently addresses, or address poorly to compete with other airlines when our tourism is very poor? 1. We support the Airline but not partnering with Ethiopian airlines. I will keep saying this: govt should have bought shares or invested in the already existing successful local airline companies to make us a regional powerhouse. Our author may be saying this because he’s been offered a job by Zambia airways. Ndalama Lwando is an aircraft maintenance engineer not an international businessman, we all have our biases. Being a an aircraft maintenance engineer is different from running an airline business. Running an Airline for the sack of having a National Airline will cost Zambia heavily. I find it hard to believe that you can buy airline based on famous or important people who come to Zambia. How often do those people come to Zambia? Working class are supposed to be the main customers. It is this group which is important to airline industry and tourism industry. I find the reasons address in the article very shallow. If the government has ears let it listen to its people. Ba See the international stars line is so insidious because he uses it for lies. Iwe Ndalama Lwando, you are a fyool or something worse? Ati “Let us put our heads together and make the national air career a success story”. I suppose that is addressed to fellow fyools to put their heads together? Wishful thinking, the only profitable airlines are budget airlines the rest are propped out by govn’t subsides. Build hospitals or equip existing hospitals with medicines and equipments. To many people who are sick or dying early unnecessary, these people if health would be paying taxes therefore money. Livingstone Zambia: Pop. 139,500 (2010) by Statistical Office. 250,000 tourists in 2018; compare to Kelowna Canada: pop. 127,380 (2016) by UN. 2,080,627 tourists in 2018; 65 flights daily. Livingstone is naturally better than Kelowna, but Kelowna has developed tourism far above Livingstone. It means Zambia Airways will have to compete at 100% with other airlines to get a good number of customers. If hotels are expensive many working class will not come to Zambia because air tickets are also expensive; this is a target group, Nerve centre on which Zambia can base its model. The more tourists, the better for all airlines. This author has wasted my time; in fact, I only read half after realizing he was arguing with little or no logic or substance. There is nothing he has said to justify why we need an airline apart from his Prince Harry factor. Even the least intelligent cadre would have argued better. If it was a Grade 12 essay, I would give this article 23 percent. This is what you get from empty tins…he goes to Joburg sees SAL aircrafts parked he thinks it’s a successful airline without doing any research into the sector. You don’t use emotions to embark on a mammoth task. So they say if wishes were horses even beggars would be riding. Thus, as long as we do not have a viable option, the national airline will remain a dream/a wish. All must pay to get on this flight kulibe ati nimwana waba chite or things like that. That’s partly how the airline crumbled the last time. Same with ZR and other GRZ institutions. We do not need an airline. Are you guys delusional? So does Ndalama think that Prince Harry or Will Smith would have flown Zambian Airways if it was there? Like his Brian Mushimba, Hon. the way to go.we must do more. Zambia doesn’t even manufacture steel nails yet!NAILS! and yet everyone is building houses.a steel-nail making machine costs Kuma 10pin dollars..ZAMEFA what’s wrong with you? Ignore the negatives to succeed otherwise the Emirates would not have happened. Those investing in the booming shopping mall and property landscape in Zambia have always been told there no money but its a stunning success. Fact is Zambia is lower middle income country with many Zambians itching for weekend getaways with correct prompts. And as author says, that wastage of GRZ travel by road would go a long way in giving airline business like SA Govt has done in SA. Even with current high fares, still much cheaper to fly to Mfuwe, Kasama, Mbala, Ndola, Mongu, Solwezi and Mansa than drive. Use local hired vehicle than abuse GRZ vehicle carrying malasaha, fish and village chickens en route. It’s not the first time Zambia and Ethiopia have partnered in the aviation industry. Some of the engineers and pilots who flew QZ were Ethiopian. We actually had an Ethiopian community-based in Zambia working for the now-defunct Zambia Airways. Ethiopians are a safe pair of hands when it comes to aviation. Zambia is a landlocked country and therefore air superiority is a must. Let the experts take care of business. It’s launching in June is it? Good luck, don’t say I did not give you good wishes. There goes Ba Lwando: ‘formulate a statutory instrument (SI), making all corporate and group GRZ travel by air mandatory’. Ba Lwanda in a liberalized economy having such an SI! Not even Idi Amin would propose such. Your suggestion is abnormal or you don’t think. Presently our self-crippled economy calls for austerity measures in govt, one such is limiting flights local and abroad. Do you think Harry, Smith et.al will have selected Ethiopian/Zambian airline if existed? I thought people/corporates/governments make choices about what flight when processing an itinerary. Ba Lwando I know you are so upbeat about this airline to the extent you suggests govt subsidising it. Ba Lwando what grades did you obtain at high school? Ichikwanga bachimwena kumampalania:what airline can start off on 30 million US?are we planning to buy an engine or what?get ZRL on its tracks,stop this nonsensical dreamline.amen! 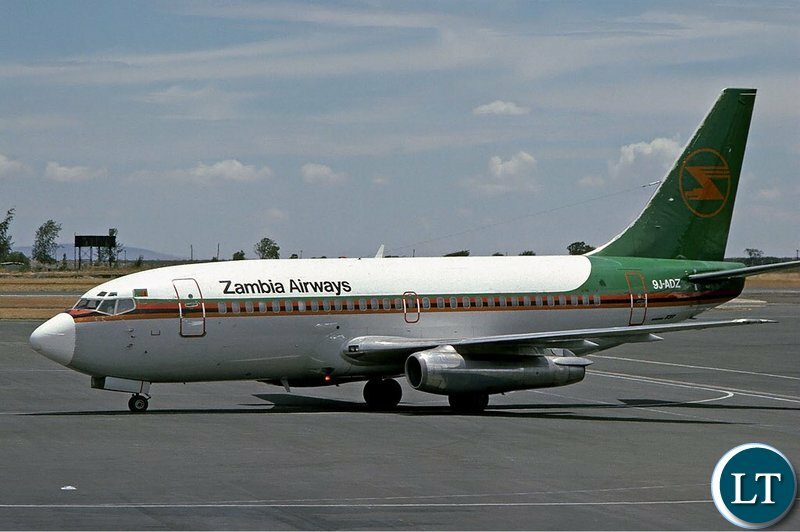 Zambia does n’t need a national airline. It needs food. Spot on…they have even banned allowances for the future of our nation!! Any person anywhere in the who wants to visit Zambia for any purpose can do that even now without the airline. This lame argument of boosting tourism does not hold any water. The key point here is: Capacity to run this airline by a Govt Parastatal in the current Zambia, given the thousands of failures in business where Govt Parastatals are concerned. The author of the Article should have been more objective in that line. @ Ndalama – sorry brother, your arguments in this article are weak and have been debunked by many. Just one point : where in the world have you boarded a bus from the mall straight onto a flight? It takes huge investment to start and run an airline like Emirates successfully. Personally I’m not saying never, just not right now. Zambia has bigger fish to fry and we can actually make hay from the other airlines that already service our country. The time will come when we’ll be in a position to run an airline but right now isn’t it. I think the author is saying the die is cast:we can’t just complain and criticize-lets make progress! Tax payers’ money on the line-let’s make good! Value chain as op me put it above. Nshima is already provided on board of Emirates. It is possible anywhere. Don’t look down upon your country. In one of my tourism case studies, the determining factor for tourists to travel to exotic places from the demand side was short travel distance. It’s why people from the US prefer Mexico or the Caribbean. In one case, business travellers would love to visit Africa but travel time was the number one factor. Example, coming to Zambia from the US means going through South Africa or Ethiopia then Zambia. Now, if they wanted a one week vacation, jet lag a sleep play a huge factor. In having one’s airline although it still takes time, they avoid transfers, connection flights etc. We all know how much people complain about delays with Ethiopian airlines to waiting excruciating hours for a fight or connection. It’s a bonus to own an airline. There should be a competent Zambian training coordinator for flight crews and maintenance training based in Addis to monitor payments, otherwise there will be inflated receipts for Lusaka to pay. Preferably those with flight simulator and maintenance training from EX Qz.